Who wouldn’t want a 5 minute prep chicken recipe that is finger licking good? Let the marinating do all of the work for you while you do the other awesome things you need to do. Three ingredients and you are near dinner! The excitement is simply from this easy dinner came from a hilarious text to Brian, then we ate. 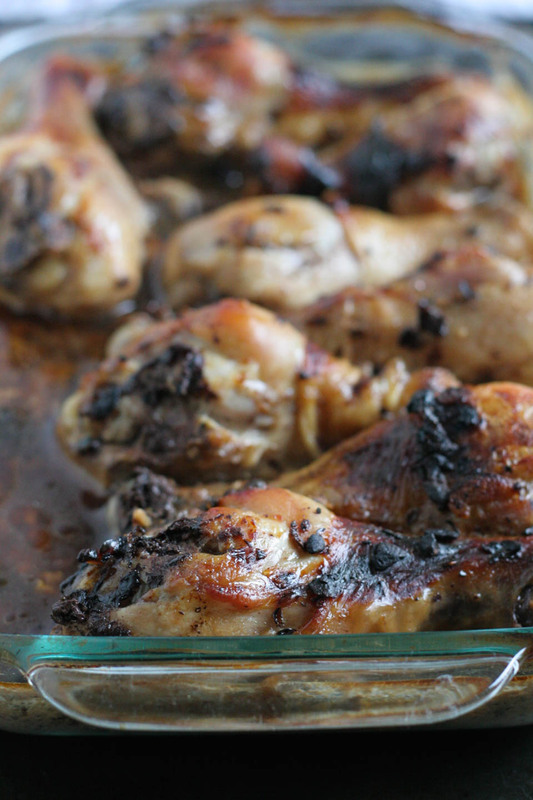 Black Bean Garlic Marinated Drumsticks are the way to quick chicken goodness for sure! Me: What do you want for dinner that involves chicken? I want hamburgers. Brian: LOL!!! Let’s have hamburgers. Me: We don’t have meat, or buns. We have chicken. LOL. Brian: Ok, lets have chicken. So chicken…I let the drumsticks marinade in the black bean garlic sauce with buttermilk while I finished cleaning up the kitchen. I popped them in the oven an hour later. We both were super happy with the result. So over the next couple of weeks I worked on the recipe to perfect it and here it is! Do you take care of most meals in your house? 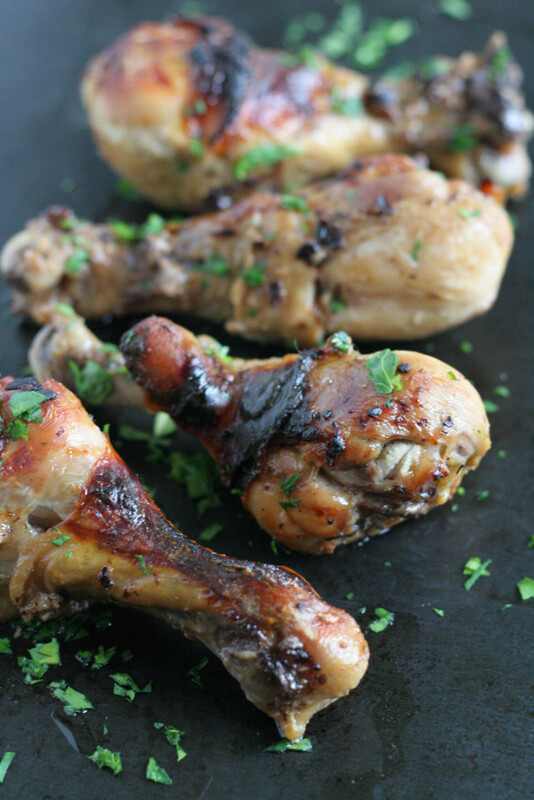 Black Bean Garlic Marinated Drumsticks will make your life so much easier! 1. Place buttermilk and black bean garlic sauce in a large bowl, use a fork or whisk to combine well. Place chicken in marinade. Set aside at room temperature for 1 hour. If longer, place in fridge covered. Place oven rack in center of oven and preheat oven to 400 degree. 2. Place chicken in an 7×11 oven proof dish. Cook for 1 hour, or until internal temperature reaches 160 degree. Remove from oven and serve immediately with a spoonful of the sauce from the pan. Garnish with fresh chopped parsley. This looks so yummy. I pinned it for later! Oh, wow! I was so surprised and delighted by how deliciously simple this recipe is! So much great flavor, yet so easy! 5-minute prep? Game on! Love this! Thank you! I was super surprised myself, and so happy it worked out! LOL that’s usually the conversation I have with my husband, and of course he usually suggest chicken. This looks amazing. I love the simplicity, yet delicious sounding flavors of this dish! Sorry, this trumps hamburgers any day of the week!! Looks awesome!